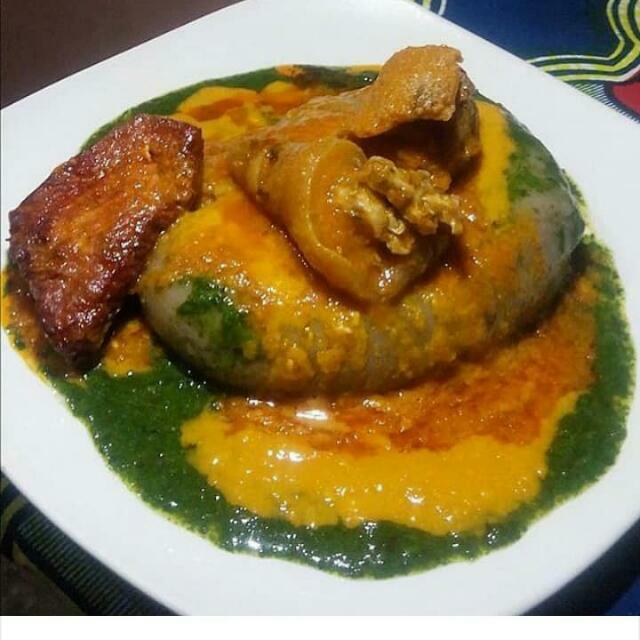 IG: @AfricanFoods: Ewedu served with Amala. Blend the jute leaves and pour in a pot. Pour in the iru, blended crayfish and salt. Serve with your stew and amala. Remember 1 tablespoon of the ewedu would be enough for one person that is just trying out this dish for the first time. Feel free to indulge in more if you feel confident in the taste.